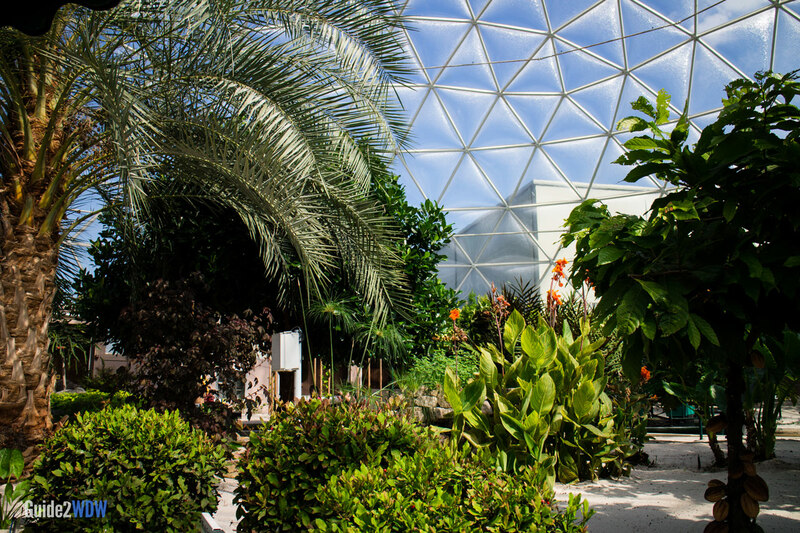 Learn more about the land around you at Epcot. 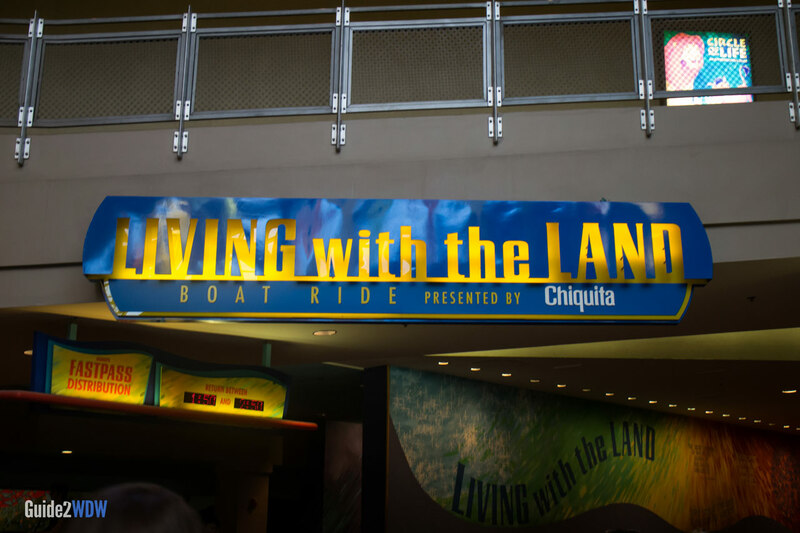 On Living with the Land, Disney World guests take a relaxing boat ride and learn a bit about agricultural science. Located on the bottom floor of the Land pavilion (on the opposite side of Soarin), this is part dark ride, part science exhibit. Boats take guests through animatronic depictions of the history of agriculture before making their way through actual greenhouses that provide food to Epcot restaurants. 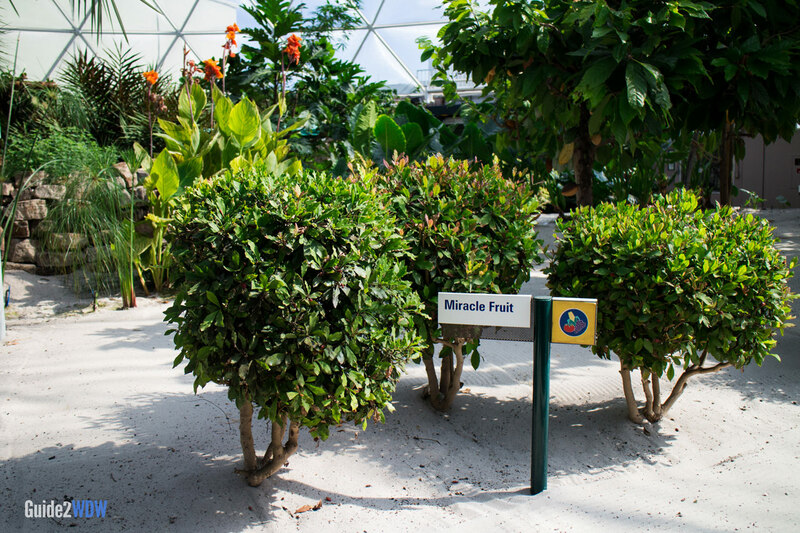 The plants range from common like lettuce and bananas to exotic like the nine-pound lemon. Like the best Epcot attractions, Living with the Land strikes a good balance of being educational and entertaining. Looking at the agriculture growing inside the greenhouses is always fascinating, and things subtly change each time I visit WDW. At 15 minutes long, the leisurely pace and calm surroundings make this one of the most relaxing rides at Walt Disney World. This ride is a nice change of pace, and usually does not have long lines. If you are at Epcot, definitely make Living with the Land part of your plans. 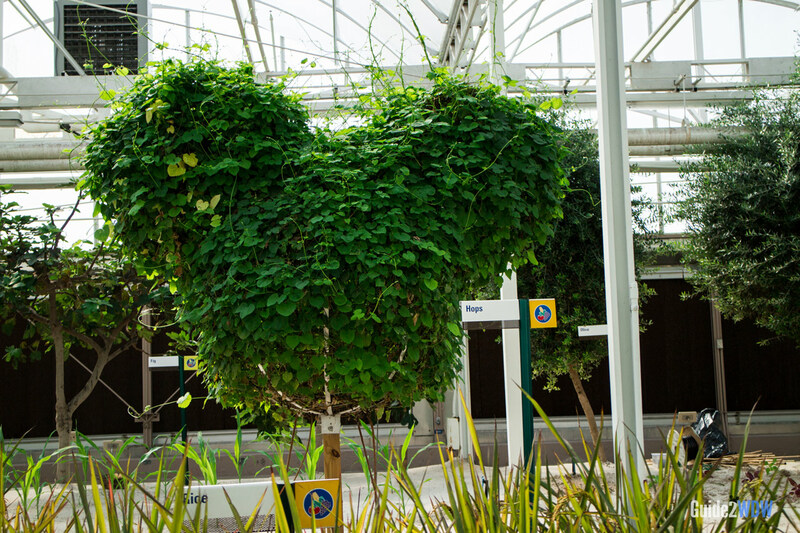 This ride features lots of impressive plants, including pumpkins in the shape of Mickey Mouse. Because Living with the Land is often a walk-on, Fastpass+ is only useful for this ride when Epcot is extremely crowded. If Living with the Land interests you, you might want to check out the Behind the Seeds tour. 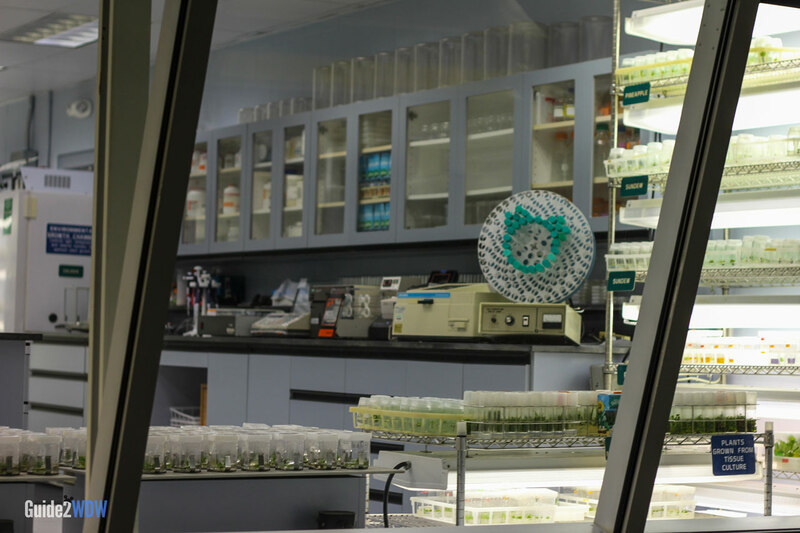 For an additional fee, you will be taken behind the scenes of Epcot’s agricultural and botanical operations. Try riding this both during the day and after dark, as the greenhouse has completely different feels at day and night. The entrance to Living with the Land is located on the bottom floor of The Land pavilion, next to the exit of Sunshine Seasons. The various plants growing at Living with the Land are gorgeous. There’s even several not-so-hidden Mickeys throughout the attraction. A more subtle Hidden Mickey. There are a ton of Hidden Mickeys on this ride! 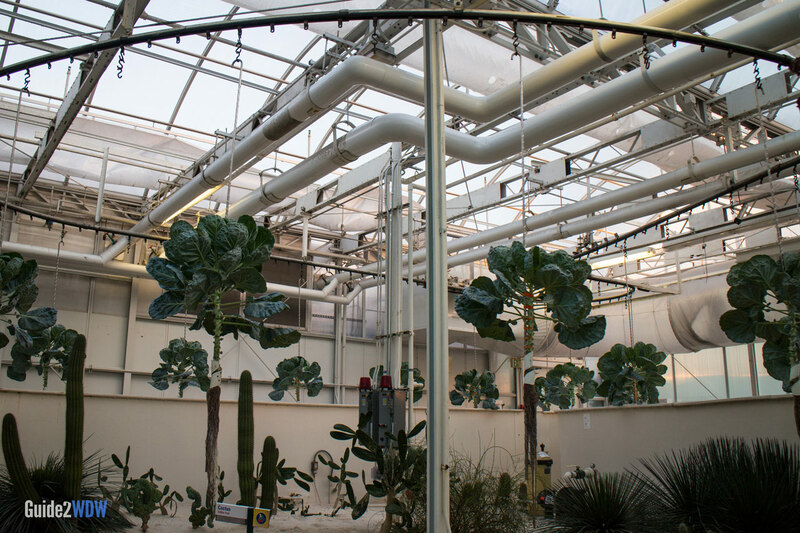 An example of hydroponics on Living with the Land.